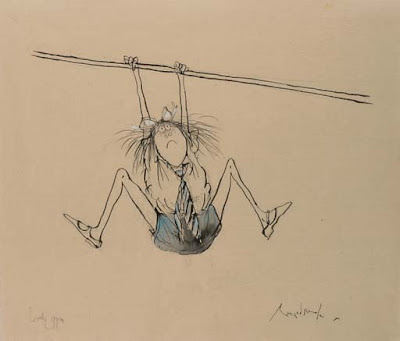 Here's an interesting snippet that reveals Searle's eventual ambivalence towards his successful creation. It also gives an insight into his working method & even his financial income! 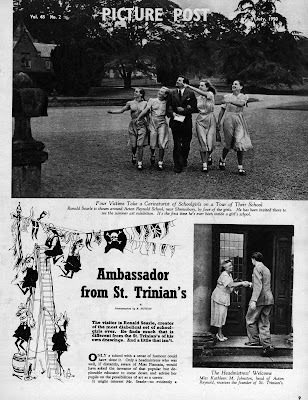 By the time St.Trinians 'revival' film 'The Wildcats of St.Trinians' was released in 1980 Searle had long turned his back on the naughty schoolgirls. However he was apparently persuaded to return to school for this publicity poster. 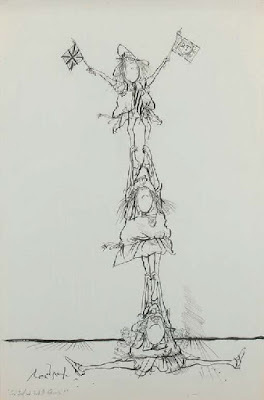 This drawing was executed for the present owners late husband, Prince Vfevolode (Romanov) of Russia, who was at the time the director of Zirconian Speed Wine Merchants. 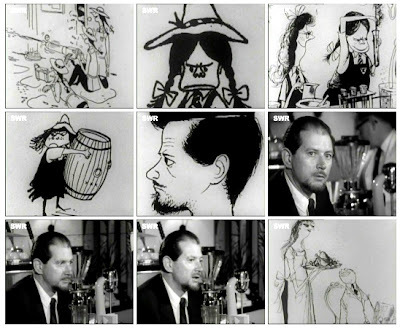 RONALD Searle, the reclusive creator of the St Trinian's cartoons, has given a rare insight into the story of the Edinburgh schoolgirl who inspired his famous drawings - and denied rumours of a romance between them when he was a young soldier. 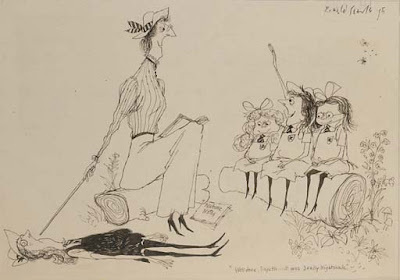 Searle, now in his 87th year, has written to The Scotsman from his home in the south of France to quash suggestions that his early cartoons of the outrageous schoolgirls were a token of his love for Cecilé Johnston, a pupil of the real St Trinnean's school in Edinburgh. 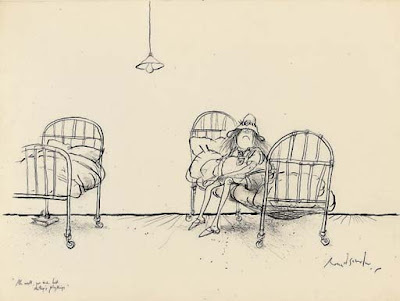 The pair first met in 1941 in Fife when the Johnston family - who had evacuated to Kirkcudbright during the war - gave Searle hospitality while he was stationed there with the army before being sent to the Far East. 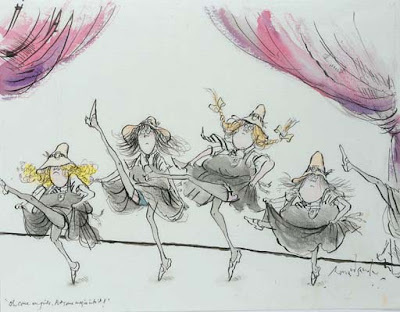 Their friendship blossomed and he drew his first St Trinian's cartoon based on the tales he heard from Cecilé and her sister Pat about their school. "I suppose it would be lovely for the saga to have a delicious, romantic aspect, but I'm afraid the suggestion is rubbish," he writes. 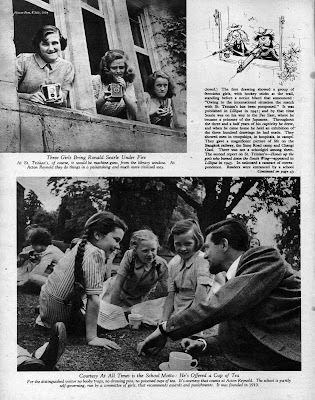 Instead, he says the schoolgirls were "victims of a bit of fun by a 20-year-old budding artist". 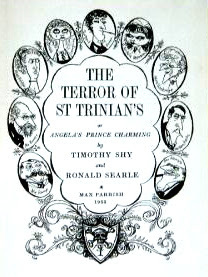 With a new St Trinian's film, starring Rupert Everett and Colin Firth, due out this year, interest in the small private school, established by Miss Catherine Fraser Lee in the Grange area of the Scottish capital in 1922, has been renewed - as has curiosity about the girl who inspired Searle's drawings. 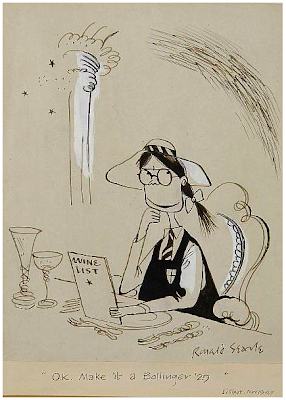 Cecilé, is now understood to be suffering from Alzheimer's, but letters written by her and Searle to mark a school reunion in 1985 - in which she referred to "broken hearts" after he sailed off to war and he made references to "holding her hand" - had led to suggestions there had been romance between the two. 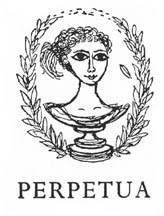 Former school friends also backed the idea that, on Cecilé's side, at least, there had been feelings of more than friendship towards the young artist. 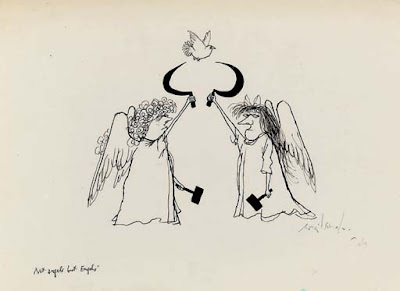 However, Searle has now written in a bid to dispel that notion. 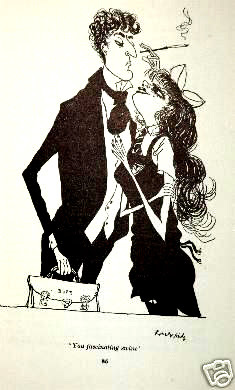 Although Cecilé is believed to have been about 15 or 16 when they first met, he remembers her as even younger. 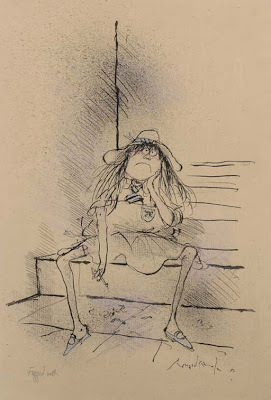 And he says, as a young man aged between 20 and 21 when they first met, that his fondness for her arose from a gratitude he felt to the entire Johnston family for the care and friendship they gave him as a "miserable" soldier away from home. 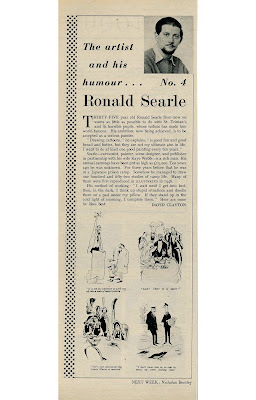 Apologising that "there wasn't a bit of Barbara Cartland" to the story, Searle wrote to The Scotsman and said: "This thirteen-year-old daughter of the marvellous Johnston family and her sister Pat were the victims of a bit of fun by a twenty-year-old budding artist. 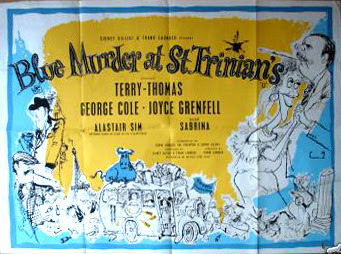 "There was only one drawing [of St Trinian's made at that time] and it was made to pull the legs of those two Edinburgh-evacuated pupils. 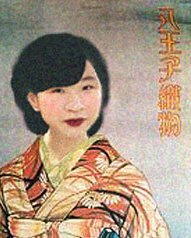 By chance it was published, quite unexpectedly." 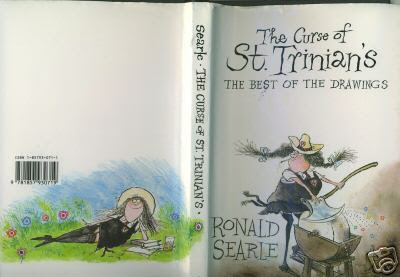 The second St Trinian's cartoon would be created in the horrific conditions of a Burmese PoW camp where Searle was abused and forced to work along the River Kwai, building the infamous "Death Railway" from Siam to Burma. His letter continued: "We soldiers were stationed in Kirkcudbright for those months before being shipped off to the Far East. 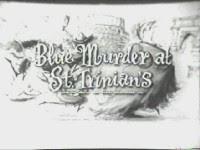 "The Johnston family, as were all the residents of Kirkcudbright, were marvellously kind and took us into the family as only the Scots can do. And the affection was retained by those of us who didn't die in Thailand to this day." 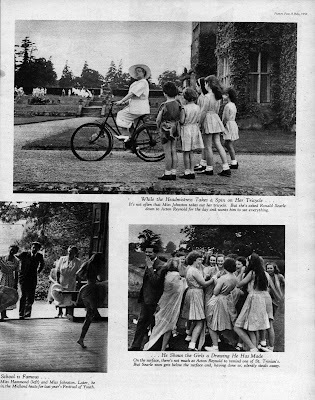 Among those young soldiers who never made it back from the war were Searle's childhood friend Matt , who had been with him when he first met Cecilé and had been another of those cared for by the Johnston family. 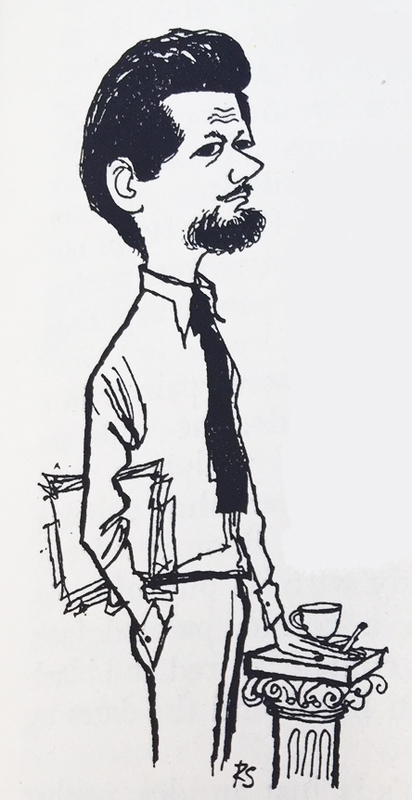 Searle's letter went on: "[Those families in Kirkcudbright] opened their doors with a generosity that made life unbelievably tolerable for a bunch of miserable soldiers." thanks again for taking the time. This dude is the dogs knackers. These are just great! Thanks for sharing. 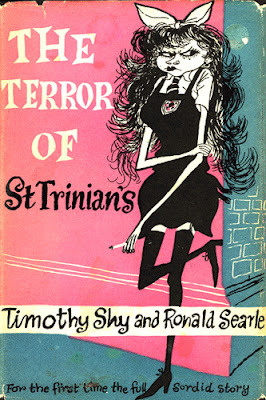 I am not ashamed to admit that I often wander around in a St. Trinians sweatshirt (that I monogramed with the school crest), sporting a fake eye patch and wielding a hockey stick. Of course, I DO live down a remote mountian road in a town in Colorado where you can ride your horse to the liquor store so even if anybody sees me, I doubt they would notice or think twice. 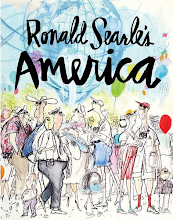 I'd like to think that his creations reaching so far and wide would make Mr. Searle chuckle!